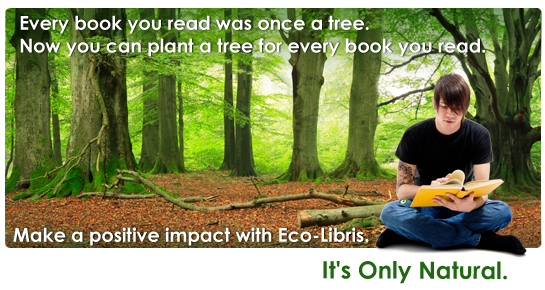 Pick-a-Woo Woo's new book, The Elf that Flew, is going green with Eco-Libris! 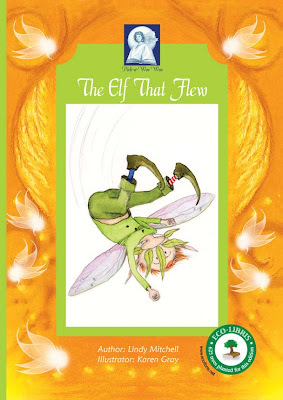 We are happy to announce a new collaboration with our partner, the Australian publishers Pick-a-Woo Woo, on a great new green children's book that was just released: The Elf that Flew. 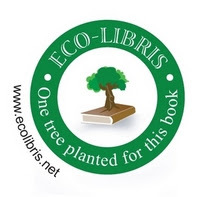 625 trees are planted with Eco-Libris for this book. As you can see in the picture above, our logo is also added to the book's cover. Based in Western Australia, Pick-a-Woo Woo Publishers are publishers of Mind Body Spirit books for children. Their inspirational books are designed to help children connect with their intuition and inner guidance, develop their awareness skills and enhance their Mind, Body, Spirit connection. Love and Joy give you wings to fly. A magical tale about Greenleaf the Elf who lives happily in the rainforest surrounded by his many tree friends. A chance encounter with flying flower fairies propels Greenleaf on an unlikely quest to fly like the fairies. Told with humour and warmth, this tale celebrates the importance of being yourself while promoting love for our natural environment. Lindy grew up in Sydney at a time when children were encouraged to play outside until dark. The local bush was a place where nature and a child's imagination created magical worlds and limitless stories.Lindy always expected to meet fairies and bunyips and was always surprised when she didn't. Lindy's love of nature led to a career in horticulture. 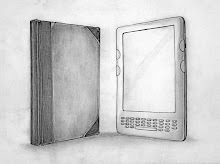 Later in life she decided to pursue her other love, literature. After completing an English degree, Lindy then worked in Mental Health and volunteered as a telephone counselor. During this time Lindy became aware of society's disconnection from the natural world and the rise in mental illness. Lindy's experience and innate wisdom spoke of how spending time in nature was not only beneficial to mental and physical health but vital for the spirit. In her new career as Storyteller, Lindy seeks to connect people with the healing essence of nature. Through the written and oral traditions, Lindy uses humour and imagination to tell tales of simple spiritual truths, promoting the love of nature and fostering a sense of stewardship. Lindy encourages children and their families outdoors to explore and reconnect with their environment. Lindy considers herself blessed to live on the Central Coast of NSW surrounded by her family and friends. The spectacular natural scenery of the region is the inspiration and setting for her stories....and she now meets the fairy folk regularly though the bunyip remains elusive. Copies of the book are available for purchase on Amazon.